Stop vilifying someone who warned us not to accept a blind nationalism, a patriotism that does not allow for discussion, examination or self-criticism. On Monday morning, I learned that my teacher, Piash Karim, died of a heart attack. I thought about when I first met him in 2007, when I was considering minoring in sociology. I ended up taking three sociology courses with him, and remember them very clearly, for the exciting debates on history, politics, and current issues. I went home and looked at my well-read bound copy of essays from the first course, Political Sociology, and thought about how that class, and discussions with him outside class, shaped so much of my thinking over the years. When I moved away from Bangladesh, the collection of texts from his sociology courses was a component of my overweight luggage that I paid a 5,000 Taka fee to carry with me. And I don’t regret that cost. I searched through my inbox and looked at all my old emails to him, and had the urge to write to him one last time. I thought about how proud he would have been at the work I am doing now, with the high levels of officials who pay attention to the research and advocacy work that I am shaping. Every time someone passes, there is a varying awareness of the kind of person they were. Everyone has a complex collection of identities and has different effects on the people that they interact with. While there are many who criticize Piash Karim for his political views, it seems that the majority is not actually aware of what his political views were. To suggest that he was against 1971, against independence, or not worthy of being near the Shaheed Minar, is outrageous to me. 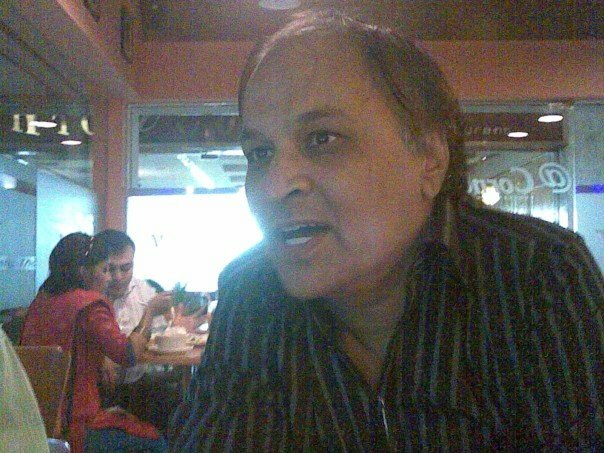 This is the man I knew: a scholar, an academic who knew much more about the history of the Bangla language than most. At the back of my sociology essays, there is a loose sheet with my notes on what Piash Karim told us about the developments and changes to the Bangla language over the centuries, thanks to the presence and influence of the Mughals, the British, and later, the contributions of Kazi Nazrul Islam, Vidyasagar, Rabindranath. He talked at length about the Hindu and Muslim communities’ usage of Bangla, the emphasis Nazrul made in integrating Farsi words into his poetry; all of the political, cultural, and literary movements that shaped the Bangla that people gave their lives for in 1952. Can it be that someone so passionate about our history, so dedicated to democracy, justice, and equality, does not deserve to be taken to Shaheed Minar? Can it be that a group of people who collectively do not have an iota of his extensive knowledge of the history of Bangla language, would actively prevent those grieving his loss from coming to pay their respects? What has he done that is so outrageous? It is no crime to have different political opinions. And if you really listened to what Piash Karim had to say about nationalism, about the struggle for independence, it is hard not to agree with his concerns. He warned that a nationalism based on language would exclude communities within the borders who don’t speak the language, and that care must be taken to ensure everyone’s freedoms are protected, no matter what their heritage, ethnicity, religion, language, or gender. The man I knew cared deeply about people’s rights and justice. To label his concerns about transitional justice and the war crimes trial as evidence that he was against 1971 is the kind of ad hominem we cannot possibly accept as reasonable, educated people. My appeal is not just to reason, but also to sympathy. Let myself and countless others grieve wholeheartedly for a teacher, a mentor, an activist, whose like we will not find in this generation. Stop vilifying someone who warned us not to accept a blind nationalism, a patriotism that does not allow for discussion, examination or self-criticism. Piash Karim chose, for seven years, to speak out for what he believed in, at great cost, and even when he was attacked and his family put in danger. His death should not be treated as an occasion to demean him and dismiss what he stood for. Sanam Amin is a journalist and researcher, currently based in Thailand. Piash was a good teacher, a fearless speaker on talk shows. I was a faculty member in ESS in 2007.Lets leave it there and not make him larger than what he was in life. Let him rest in peace.I don’t think he would care whether his body was in shaheed minar or any where else..
people of our country is not this much fortunate to understand Piash Sir . His concept,his belief,his thought. .coz , to understand him people need to be Educated .But,sadly either they are uneducated or Educated Fool! !